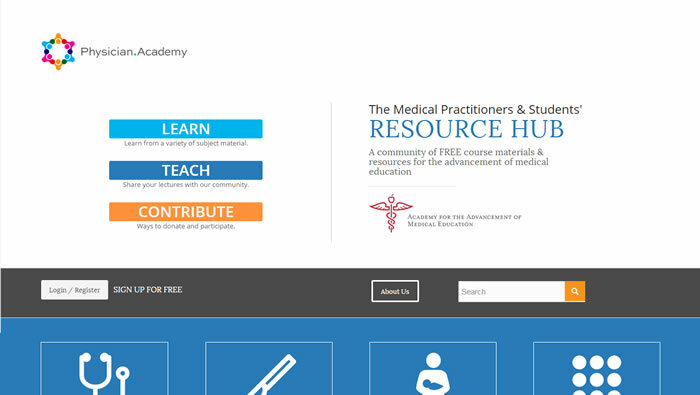 The Academy for the Advancement of Medical Education, DBA: Physician.Academy, is a startup resource that not only needed their first website, but also branding assistance to included the development of two corporate identities/logos. 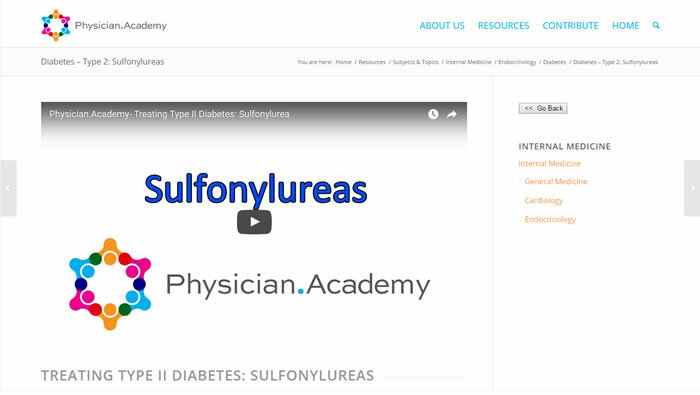 Because the website is a depository of (video) medical tutorials, a logical organizational structure for the courses needed to be developed and be accessed easily and intuitively. 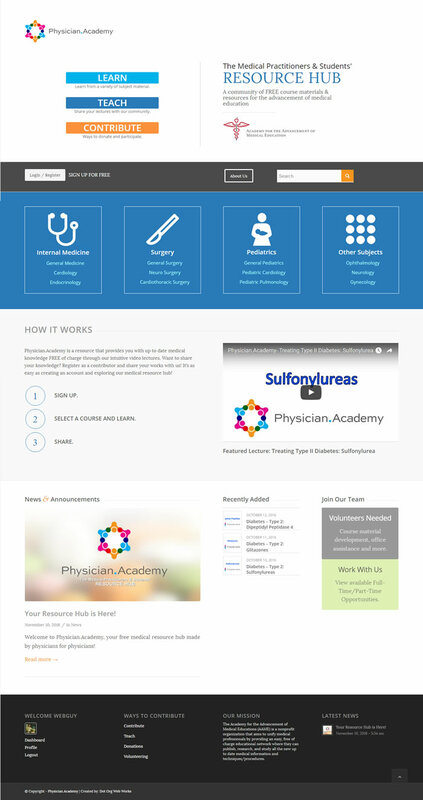 They also wished to obtain the contact information of their visitors and users, to recruit volunteers and contributors, and since they are to maintain their website primarily in-house, they needed an interface that was easy to work with. 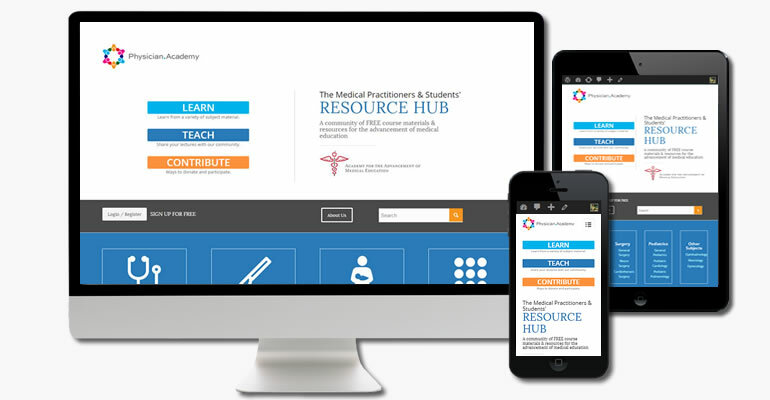 Lastly, the new website needed to be very mobile device-friendly. Working with the AAME’s development coordinator, we produced the logo/identity for the parent organization (AAME) that was reflective of their academic sensibilities, as well as one for Physcian.Academy which recognized the culmination of content and ideas–while keeping in mind that students and practioners also enjoy a bit of color in their research. 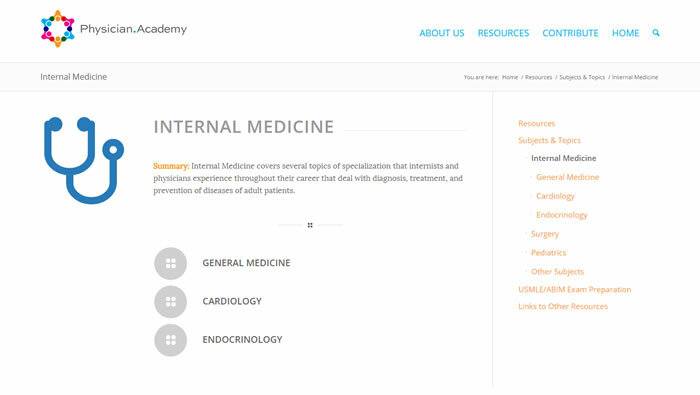 To address the organization of content, we designed a home page that simplified the various medical topics. Below the scroll line is general user information, featured lecture/course, and ways to get involved. Password-protected sections prompts visitors to “sign-up”, thus allowing AAME to reach out to their active users in the future. This website is built on the WordPress platform, using a premium theme which provides the client with superior control over design, content and its users. Moreover, the website is responsive on various viewing sizes and devices, with customized content for small screen viewing.